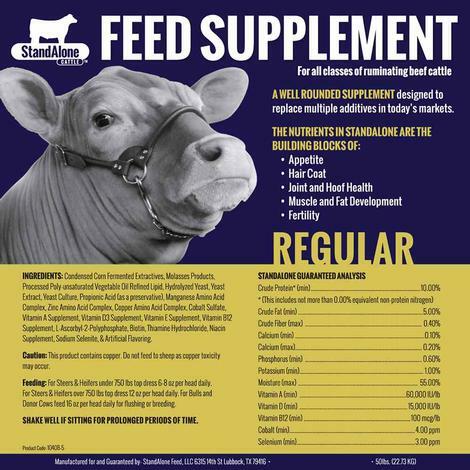 This feed supplement from StandAlone has been formulated by taking the place of several of todays show supplements and additives. It is a great complement to any show cattle ration. With a unique blend of multiple source protein and high quality vegetable oil, this supplement creates a one of a kind product.